Somebody said to me on Saturday Annan haven't been doing too well away from home but with 4 wins from 5 it was either a fond memory or too much sampling at the St Andrews Bar. Only the two goal machines at the top have beat them so far and of course we got our erses felt with seven daft minutes down there. But with four from four on our current form, and only EC beating us at The Theatre of Dreams this will be a very tight match indeed. I'm going for one each. One for McLean, one for Hawke and one for Moore. Have at it Marko. Well and truly; can't be too long for the shouts for Lennon to go appearing on P & B. Clyde on the slide; QP on the up. Salad days.Saturday will be another good test as we hit a run of home games at Fortress Hampden. 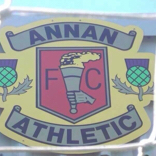 We've picked up since the defeat at Annan. Expecting a win before the excitement of double cup action. Even at my advanced age, I'm quite physically excited by the schedule of games in November. You boys not paying the bills again? Naughty. Must be a worry when your chairman thinks 200 is 400. No wonder the kitty keeps drying up. Still, on the upside Lennon must be chuffed that he's got 36 points from 10 games. Should have it wrapped up by Xmas. Again. Fair result. They could have had us on toast by half-time. Overrun in midfield, one off the woodwork and an outstanding save by Hart. Big Gerry seemed to be holding us together at that point. Much better second half with the team imposing ourselves more on the game and creating a number of chances, where we could have nicked it. A few moments where we chose the wrong option as well. Not a bad result in a tough game and keeps the unbeaten run going. Peterhead are a big side with decent players and I’d probably go back to a five in midfield or we could struggle. A testing run of fixtures coming up, but we’ve shown we can compete against stronger sides. "A game of two halves" could have been written for this game. I thought Annan looked a lot like Edinburgh City in the first with good possession and passing. The word "battling" was our best description. But still not much in the way of clear chances for either. The second was very different and credit to both teams for having at it to the very end. I thought we were more direct and creative and on balance slightly ahead overall but it's pleasing to see us run a good team into the ground. Jambo, and particularly Roberts, were outstanding and the difference for us in the second. Great stop by Hart before half-time was critical too. Once again though a strong performance and effort from all the group. And again all 3 subs making an impact. Mark must be saying the right things at the right time. Looking forward to next week already. Possibly the best and most consistent referee I've ever seen. Well played sir. I worried about losing McGeever, but Gerry's been outstanding for us. Dom Mclaren looks very promising aswell. The two of them in the same defence would be a joy to behold. Would be more of a missile defence system than a centre back pairing. Decent point I suppose although we should’ve been ahead by half time. How are you guys finding Osadolor? Had read folk talking about poor attitude when we signed him. That couldn’t be further from my view of him. Always puts in a shift, never hides, and has certainly made a contribution. Winning penalty v Ayr and the equaliser which sparked the beginning of the madness against TNS. His decision making can sometimes be frustrating, but you’re not playing League Two football if you don’t have a few flaws. Very useful guy to have in the squad. Terrible first 30 mins, last 15 before half time Annan looked really good. Crisp passing, creating chances, unlucky not to be ahead but ultimately risked paying the price for not taking the lead while they were on top. Chris Johnston was excellent, really unlucky with the shot off the bar. 2nd half QP were much better and it could have gone either way. Judging by the subs Murphy was going for the win, but ultimately Annan looked happy to be leaving with a point, which you wouldnt have expected given the way the 1st half ended.